President and Chief Executive Officer, Plan Investment Fund, Inc. Joining BCS in 2002, Susan is responsible for all financial reporting and accounting, management information systems, administration, cash operations, and enterprise risk management functions. Susan also oversees the investment activities for BCS and its subsidiaries. 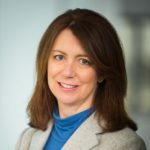 Susan previously was the head of SEC reporting for a financial services company and spent nine years with KPMG, LLP, specializing in the insurance industry. Susan earned her Bachelor of Business Administration from the University of Wisconsin-Madison and holds a CPA license in the state of Illinois. Government Portfolio: You could lose money by investing in the Portfolio. Although the Portfolio seeks to preserve the value of your investment at $1.00 per share, it cannot guarantee it will do so. An investment in the Portfolio is not insured or guaranteed by the Federal Deposit Insurance Corporation or any other government agency. The Fund’s sponsor has no legal obligation to provide financial support to the Fund, and you should not expect that the sponsor will provide financial support to the Fund at any time. Money Market Portfolio: You could lose money by investing in the Portfolio. Because the share price of the Portfolio will fluctuate, when you sell your shares they may be worth more or less than what you originally paid for them. The Portfolio may impose a fee upon sale of your shares or may temporarily suspend your ability to sell shares if the Portfolio’s liquidity falls below required minimums because of market conditions or other factors. An investment in the Portfolio is not insured or guaranteed by the Federal Deposit Insurance Corporation or any other government agency. The Fund’s sponsor has no legal obligation to provide financial support to the Fund, and you should not expect that the sponsor will provide financial support to the Fund at any time.